Grab this quick as I never get these in. 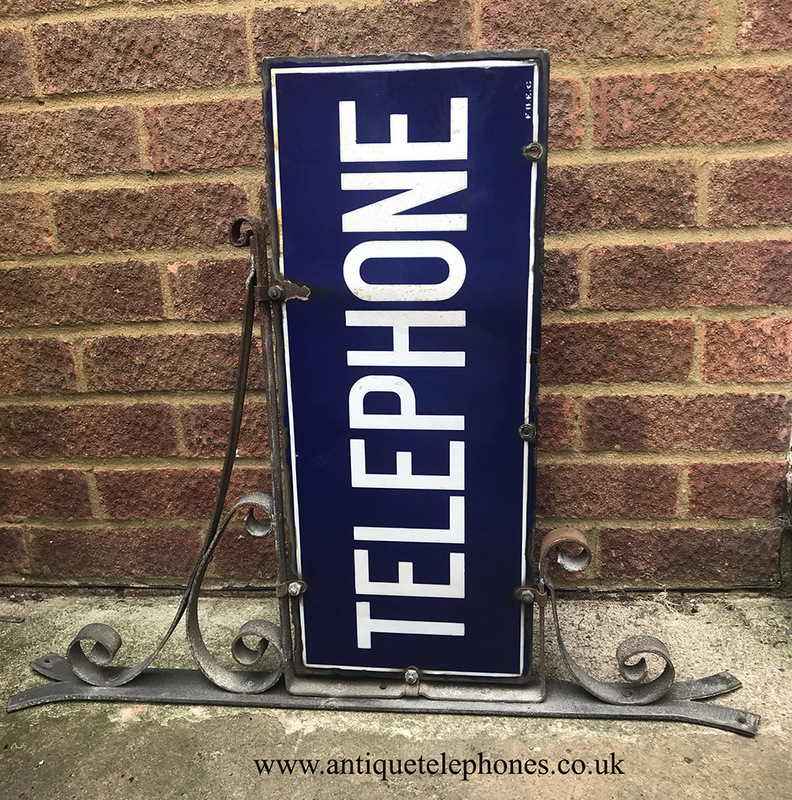 White on blue "telephone" sign and wall mounting bracket. 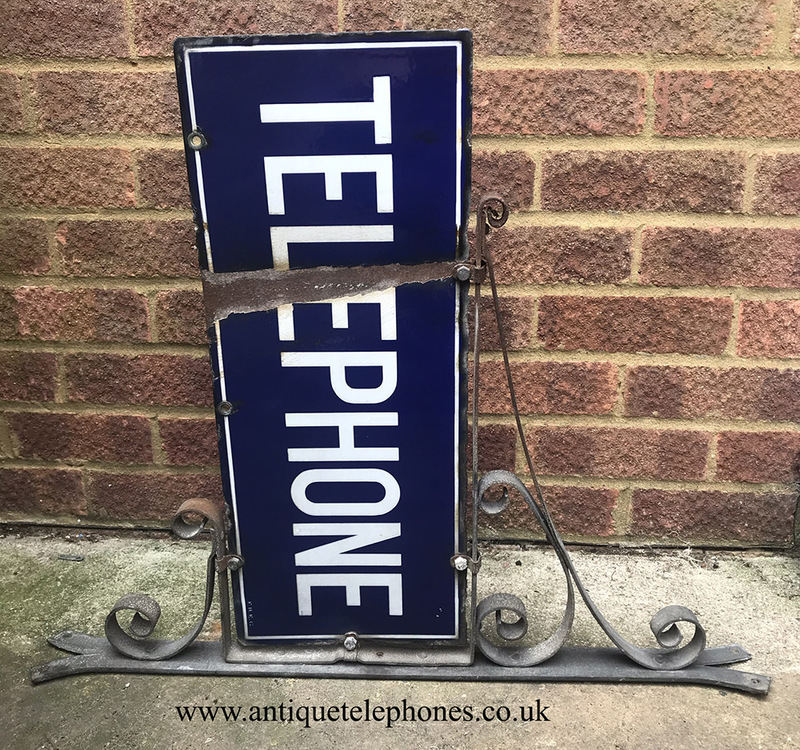 This is a rare and sought after sign with its original wall mounting bracket. One side of the sign is damaged but the other side is very good. The bracket is very good with only some slight rusting for its 80 odd years of British weather.